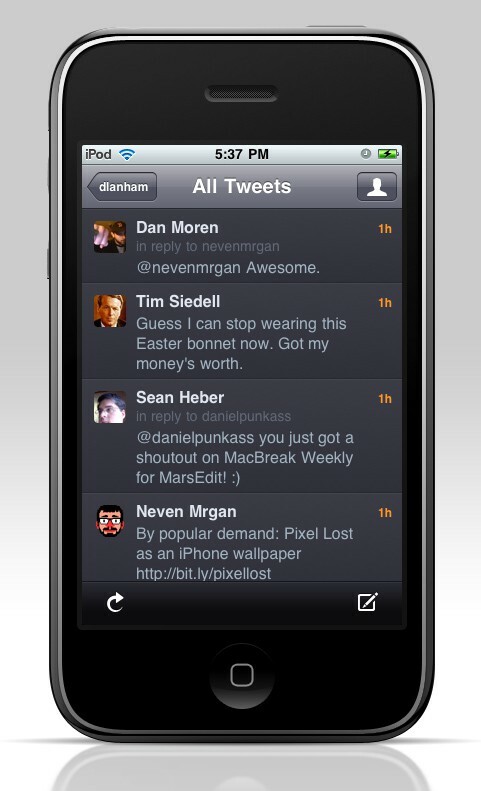 Twitterrific has gone through quite a few design iterations since it first launched on the desktop three years ago. As it progressed and evolved, we began to notice something happening with it that has ended up frustrating us, and even worse, our users. As Twitter has grown and expanded, becoming more popular and with more third party tricks and additions, many Twitter clients have also been growing alongside (and in most cases, beyond) the main service; ending up with bad cases of feature creep and over-complexity. Twitterrific has been affected just as much as anyone else and maintaining multiple versions has been keeping us much more busy than it should have been. We’re in the midst of designing and planning future versions of the application for at least three very different platforms (Mac OS X, iPhone, and now iPad) it’s become increasingly obvious to us that a change is needed in order for our beloved app to remain healthy. As a first step, we decided to take a step back and re-evaluate our approach. 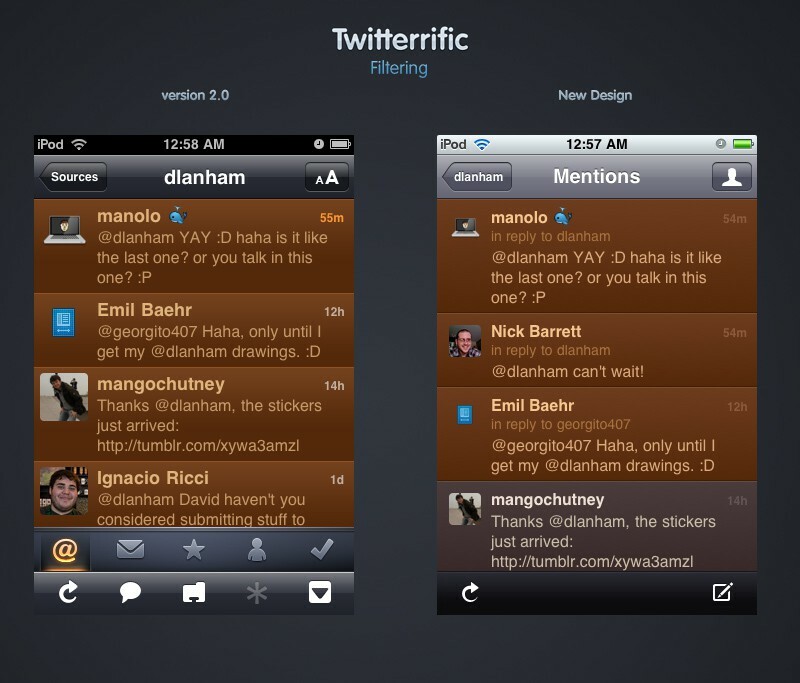 We want to make Twitterrific quick and light with a focus on content and usability rather than feature count. We will continue to add necessary features and updates to Twitterrific, but we’ve decided to only add features that will enhance the experience and avoid adding them because it’s easy or just because we can. 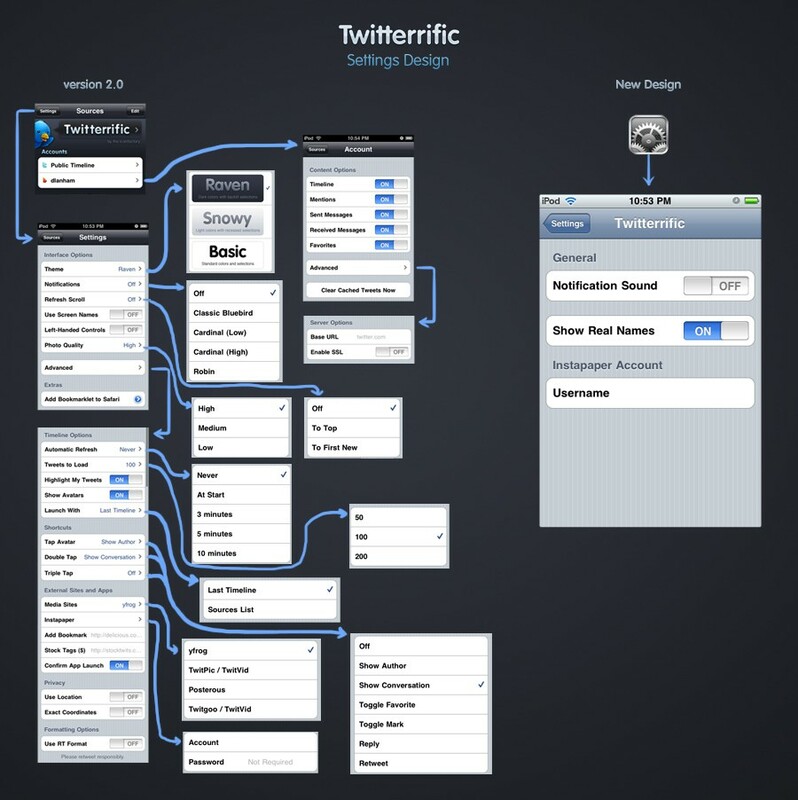 One of the biggest challenges was balancing a simple layout with the need for about 10 possible actions on each tweet. It’s very easy to send the interface spiraling off towards the black hole of over-complication. 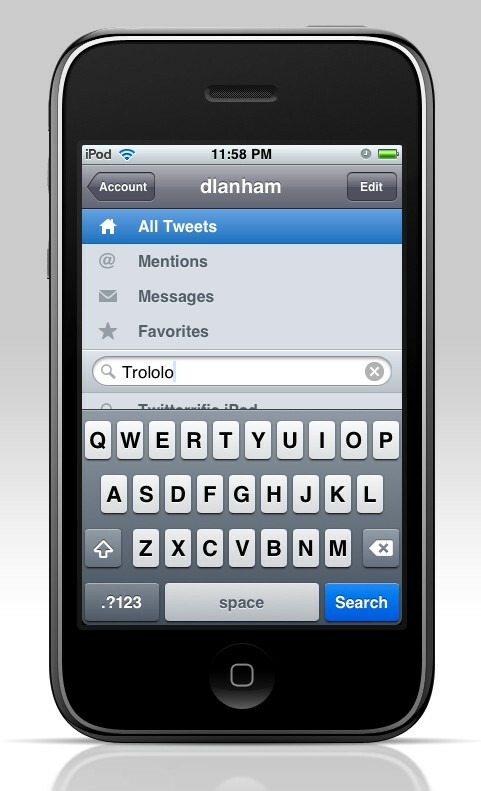 In the previous versions of Twitterrific we’ve relied on a selected state for tweets before you can perform an action. This design led to needing an action button in the toolbar, which after we thought about it, seemed unnecessary since the main reason you’d select a tweet was to perform an action on it. So now actions have been separated into two main categories: actions that affect the timeline and actions that affect only you. This gave us a logical way to divide the actions among two buttons with the addition of a star for easy access to adding a tweet to favorites. Tapping any avatar will also bring up a user’s profile so we no longer needed an explicit button for profiles. To date, we’ve only needed to include a handful of preferences and we’ve decided to put them in the external Settings application since most users will never need to see them. We’re also being smarter about only showing preferences when you’ll need them, for example, when you want to attach a photo to your post, options for choosing the media upload service will be available within the uploading interface. If a photo fails to upload you have quick access to changing the service rather than having to stop composing your tweet and paging back to the settings section to change the service there so you can try again (and hope it works this time). Searches should be quick and simple and this just wasn’t the case previously. Searching has been redesigned to be easily accessible from within an account and we removed the extraneous settings for it. If you want to search, you just type in your term and go. If you want to save the current search, you tap a single button and it adds it for easy access later (it also adds it to your account so it will be accessible from anywhere you access Twitter). The compose section has also been redesigned to provide clarity on what kind of tweet you are posting. The tabs we previously had were only adding unnecessary complexity to usability and code, and in practice, they were rarely being used. Removing the tabs will assist with direct messages staying private, replies being associated to the correct tweet, and less distraction while composing. With the extra space gained, the text of a tweet you are replying to can be shown in the compose window so you have a constant reference while you are typing out your reply or message. Having an address book within Twitterrific was a very useful feature in concept, but due to limits of the Twitter API, it’s impossible to always keep a full list of your Twitter contacts up to date or easily search and sort those contacts. We would love to have this included, but with the current limitations, it felt broken and frustrating to use so we removed the feature until it can be properly implemented. Twitterrific uses a unified timeline to show you all your content in one list so you don’t need to constantly swap sections to see the different types of tweets you receive. However, there are some times when you want to view tweets separately, such as when you’ve launched the application after a long period of time being away and you want to see if you’ve received any replies or messages. It’s also useful for companies or products that primarily use Twitter as a way to collect feedback and announce updates. 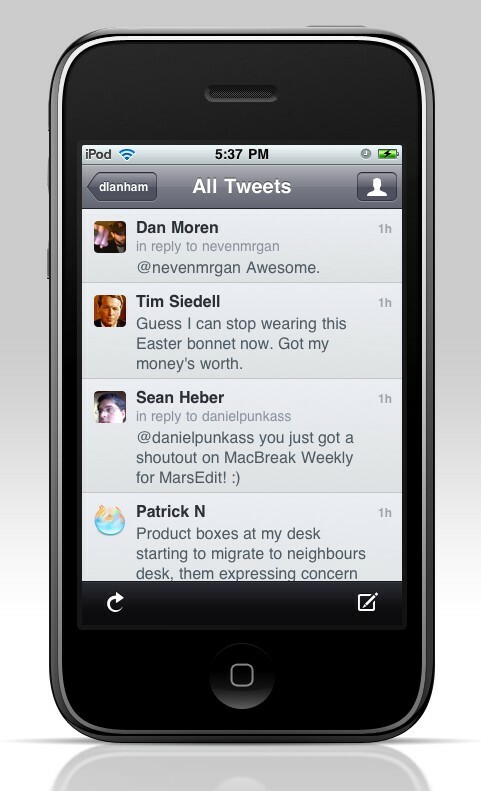 In cases such as these, we have a way to access only certain types of tweets, but our previous design brought up a panel of icons which, above an already crowded bar of icons below it, was unintuitive and confusing as well as a pain for people that want the application to always launch into viewing only replies or messages. So we moved these filters into sections that you can access in the account section of the application, making it just as quick to access as the previous design, but much more clear as to what you’re viewing and how to get back to where you were before. I hope that gives an insight into all the thought and care we put into all of our software. When you’re using an app everyday and multiple times a day, any streamlining and removal of frustration makes a gigantic difference so it’s never a bad idea to sweat the small details and make sure things are just right. 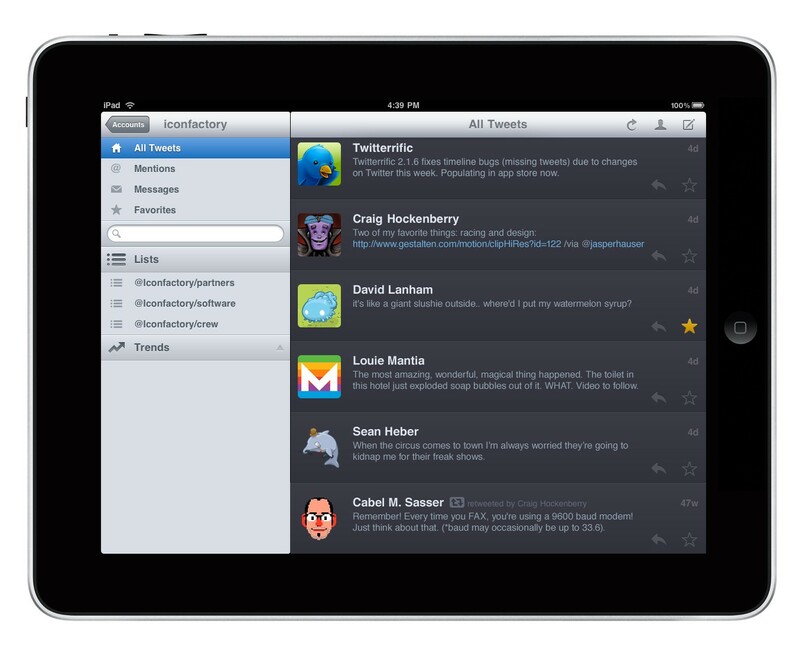 Twitterrific is available on the iTunes App Store and you can find additional information on the Twitterrific website. 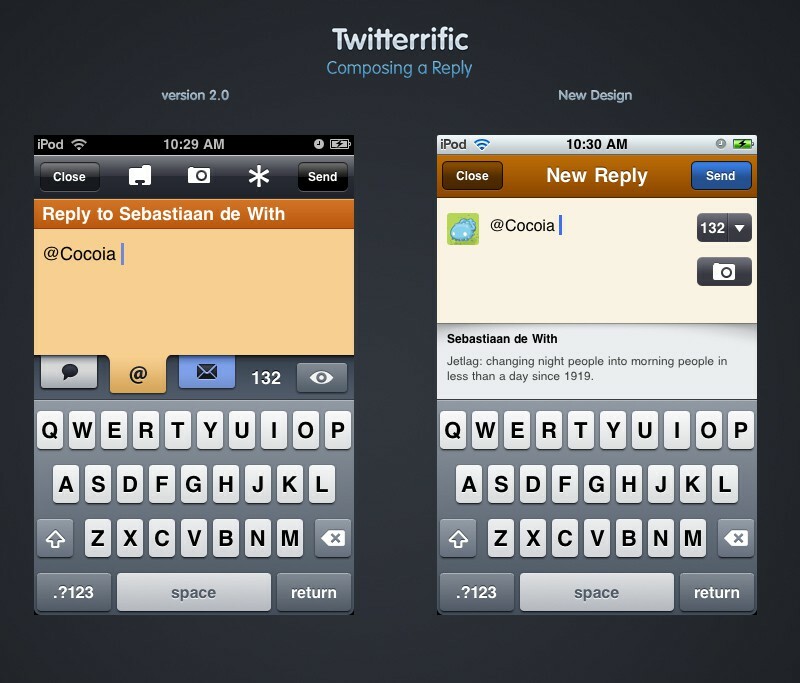 There are also related posts from Craig Hockenberry on the addition of features to software and from Gedeon Maheux on the tough choices we faced while redesigning Twitterrific. This entry was posted on Thursday, May 20th, 2010 at 12:01 pm	and is filed under Art, Design, Personal.